There is something special about the timbre and agility of the flute that suggests a sonic kinship with birds and the action of flight. Several versions of the creation myth of the Apaches describe how a man, looking for his missing wife, used a flute to transport himself over mountains (“He started away, traveling with a blue flute which had wings … he went entirely around the border of the world.” )1 Prokofiev’s Peter and the Wolf, Saint-Saëns’ The Carnival of the Animals, and Messiaen’s Le Merle Noir arejust a fewexamples of the numerous compositions that associate the flute with the avian world. As a composer I am inspired by many sources including nature, the human condition, literature, and mythology. Among my compositions for flute with a connection to flight are Pipe Dream for solo flute (written for Kim McCormick) in which birdcalls are interjected to present new melodic and rhythmic ideas and influence the overall development of the work. In “Treetop Capers”, the second movement of Tennessee Suite for flute, viola, and piano (written for Shelley Binder), the character of the music is based on observations of the antics of the songbirds in Great Smoky Mountains National Park. Night Flight for piccolo, clarinet and piano (written for Rebecca Arrensen) depicts an eventful flight of a jetliner that culminates in a section conveying a dramatic descent through heavy clouds and a ferocious thunderstorm. My composition, Dragon Flight for flute and piano (written for Marianne Gedigian) is an evocation of a colorful fantasy world in which a dragon awakens and takes flight. 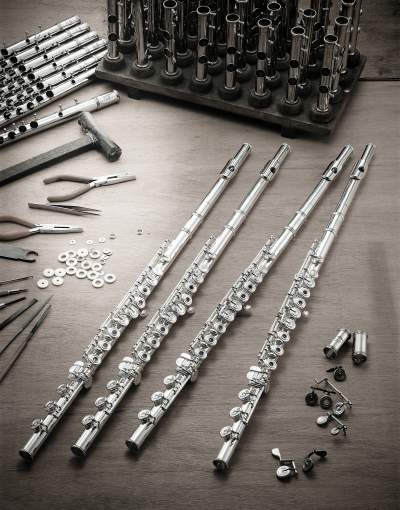 Space Renaissance Suite for unaccompanied flute was composed for the renowned Italian flutist, Elena Cecconi. It was inspired by the tenets of the Space Renaissance Initiative, which is dedicated to influencing world opinion to support space travel and to “lift humanity from the cradle of the Earth.” The 4 movements explore imaginary scenarios one may experience during future space travel and the colonization of distant worlds. Through the Portal and Alien Storm musically depict one’s first glimpses of an alien world about to be settled. Introspection and Reaching Beyond address the intriguing opposing mental capacities that allow a human being to tap into his/her inner self to connect with the universe, and also to kindle the desire to reach outward to new adventures and exploration. Below is a list of my flute compositions that are in some way connected to flight. All of these works are published by Brixton Publications. 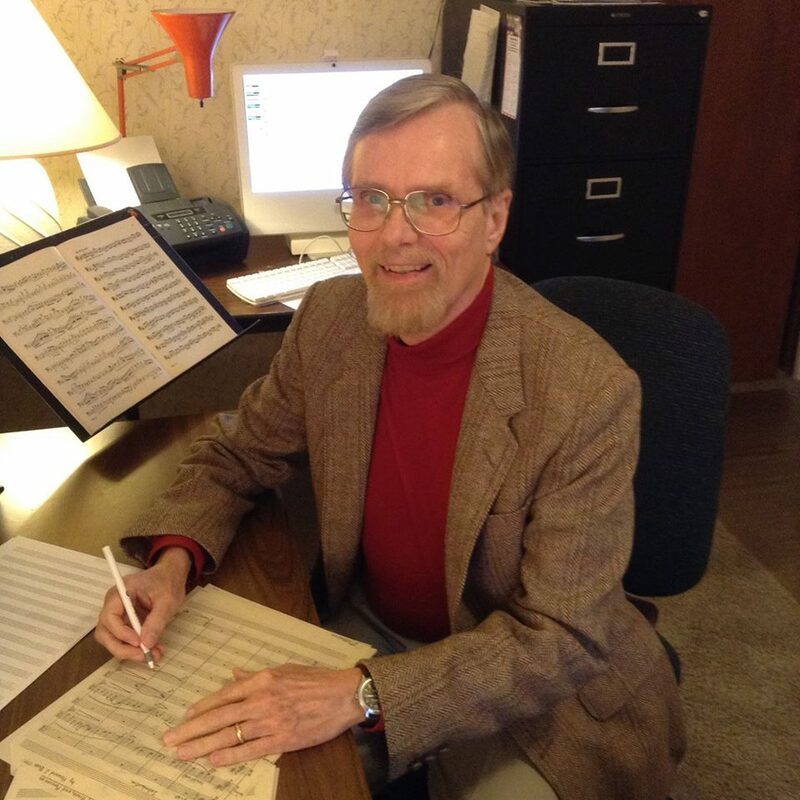 Howard J. Buss is recognized internationally as a composer of contemporary classical music. His compositions have received critical acclaim and have been performed in more than 50 countries. Faculty musicians from major universities as well as current and former members of organizations such as The Boston Symphony Orchestra, Minnesota Orchestra, Buffalo Philharmonic, Israel Philharmonic, Berlin Philharmonic, Vancouver Symphony, Atlanta Symphony, New York Philharmonic, Chicago Symphony, etc have performed them. 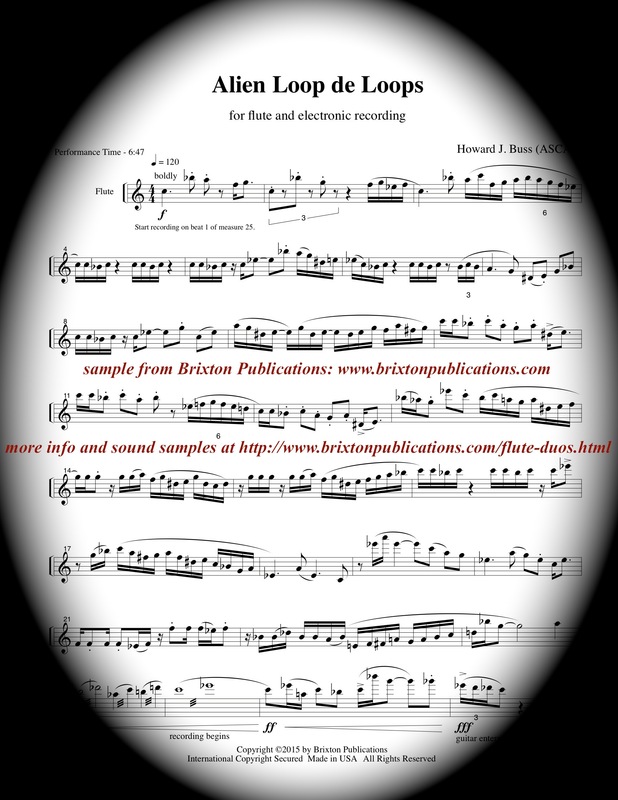 Buss’ more than 170 published works include instrumental solos, chamber music, symphonic, choral, and band works. Buss has received numerous awards and his commissioned works include original compositions and arrangements. They have been recorded on the Albany, Bottega Discantica (Italy), Crystal, Capstone, DUX (Poland), Equilibrium, HoneyRock, IBS Classical (Spain), PL Productions, C. Alan Publications, Ravello and Urania (Italy) labels. Howard J. Buss received his B.A. in Applied Music from West Chester University, M.M. in Performance and M.M. in Composition from Michigan State University, and D.M.A. in Composition from the University of Illinois. He is the founder and editor of Brixton Publications (ASCAP) and Buss Publications (BMI), which publish contemporary American concert music.